"For God so loved the world, that he gave his only begotten son, that whosoever believeth in him should not perish, but have everlasting life." John 3:16. After appearing on Tech N9ne's "All 6's & 7's" comes First Degree The D.E. 's "Super Black". 100% real, inspiring, political, religious, and amazing. 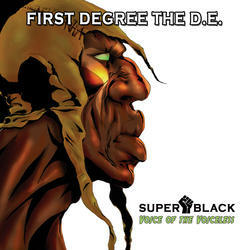 Produced by First Degree The D.E. and Phonk Beta.